After diet and exercises have failed to make him thin, Yang Bin gets up the courage to tackle his obesity through surgery. Yang, 47, is 160 cm (5’3″) tall but weighs 120 kg (264#) . “I’ve had enough of it,” says the former technician in Wuzhong City, northwest China’s Ningxia Hui Autonomous Region. The excess weight makes him unable to sleep at night. He can’t breathe when he’s lying in bed. It also forced him to quit his job at a machinery plant five years ago as he couldn’t move around fast enough. Reducing his weight is a great challenge. His size puts heavy pressure on his knees, so he can’t perform exercises like running. Dietary methods don’t work due to his insatiable appetite, so he turns to doctors with Ningxia Medical University General Hospital in Yinchuan, capital of Ningxia. Last year, the hospital started offering outpatient services every Tuesday afternoon for obese patients. After a group consultation, doctors give him a treatment plan; bariatric surgery plus a dietary solution following the surgery. Bariatric surgery is generally used to reduce the size of the patient’s stomach, often with a gastric band. “In Yang’s condition, a sleeve gastrectomy is the most effective option available,” says Chen Qi, a doctor with the hospital’s nutritional department. “We will remove a portion of his stomach, making the stomach the size and shape of a banana. This will reduce the amount of food that can be consumed, generate a “full-up” feeling and suppress hunger,” Chen says. Yang was slow to accept the idea but eventually did. “It seems that obesity is really a disease,” he says. According to Du Wei, a doctor with the hospital outpatient department, an average of 10 obese patients visit the hospital for bariatric surgery or more traditional non-surgical weight loss help on a weekly basis. The oldest is 50 years old, while the youngest is only eight. Prosperity has changed Chinese eating habits and life moves faster. Eating too much with high amounts of fat and calories and taking little exercises have led to an increase in obesity. Thirty percent of Chinese adults are overweight, and 11.9 percent are obese. Among Chinese children aged 6 to 17, 9.6 percent are overweight and 6.4 percent are obese, the Chinese Center for Disease Control and Prevention said last year. “People are under big pressure in study and work. Their leisure time has been occupied by smartphones and computers. Sedentary lifestyles, lack of exercises and unhealthy eating habits all lead to obesity,” says Yu Yongtao, a doctor with the hospital’s gastroenterology department. 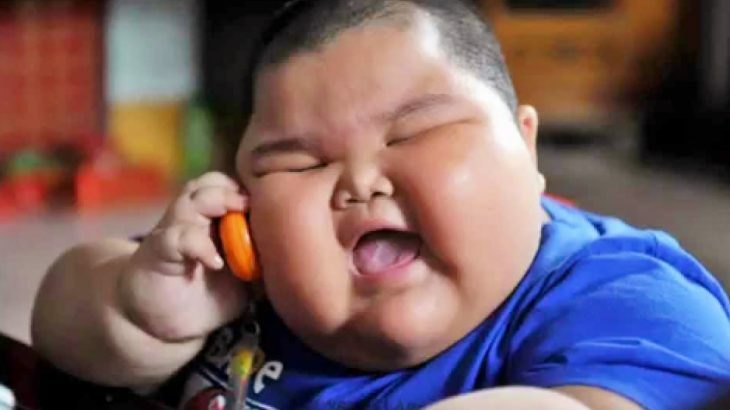 A growing number of Chinese have realized that obesity is a serious, chronic disease. Overweight or obese people have a much greater risk of developing high blood pressure, hyperlipidemia and fatty livers. Dozens of hospitals now have services for obese outpatients. All surgery presents a risk. Bariatric procedures are no exception, with an array of possible complications, according to Yu. “The surgery may lead to long-term vitamin and mineral deficiencies, and some patients must take lifelong supplements as a result,” he says. Yang’s operation will be carried out in the latter half of this year. He is still recovering from a previous heart surgery. “When people call you fatso, don’t take it as abuse. It should remind you that if you don’t pay attention to your weight, it can threaten your health or even your life,” Yang says. Health, News, Translations Bariatric, calorie, calories, fat, food, gastric, Health, Obese, obesity, overweight, sedentary. permalink.